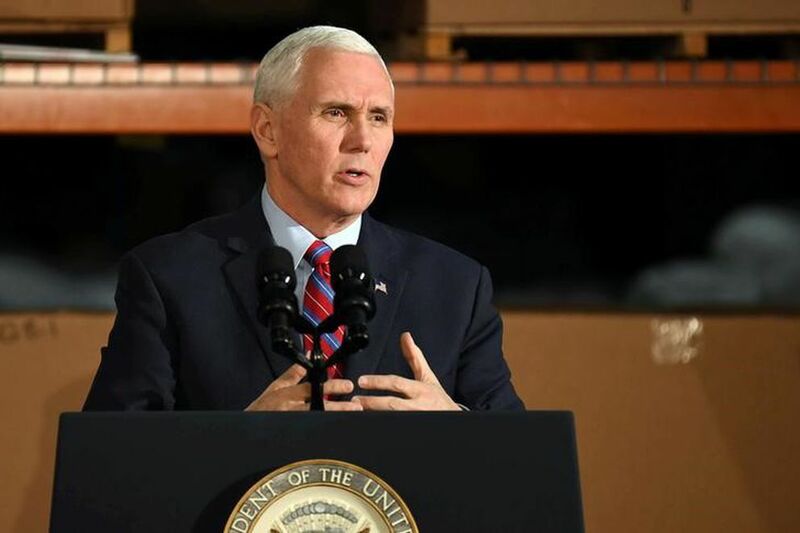 WASHINGTON — Alaska Sen. Lisa Murkowski parted with her Republican peers Thursday on a vote to revoke Planned Parenthood funding, resulting in an unusual tiebreaker vote from Vice President Mike Pence. Murkowski said she just couldn't get on board with a measure that would peel back health care options for women, for any reason. The moderate Republican has come crosswise with her party several times on the issue of funding Planned Parenthood — a major target for conservatives in Congress. Repealing the rule "allows states to make that determination that they are going to further limit access to care for women, and I think that that's taking us backwards," Murkowski said in an interview Thursday. "So I voted against it." Aside from Murkowski and Sen. Susan Collins, R-Maine, the 51-50 vote fell along party lines: Republicans — including Alaska Sen. Dan Sullivan — voted for the measure, and Democrats voted against. The procedural vote to advance the measure Thursday was held open for more than an hour Thursday when Murkowski and Collins opted for "no" votes. Republicans had to wait to bring in Pence, from across town, and Sen. Johnny Isakson, R-Georgia, who entered with a walker after several weeks of absence as he recovered from back surgery. The Congressional Review Act resolution would overturn an Obama administration rule, known as "Title X," that stopped states from withholding family-planning funds for clinics that provide abortions, like Planned Parenthood. Taxpayer money cannot be used for abortions, but it is legal to provide federal funds to organizations that perform abortions in addition to other services. Some states have passed legislation that would have blocked Planned Parenthood and other abortion providers from receiving Title X funding. In response, the Obama administration released a rule barring that action in December 2016. "We just went through a multi-month process as we were looking at what to do with… the Affordable Care Act, what to do with a health care system that just isn't working right now. 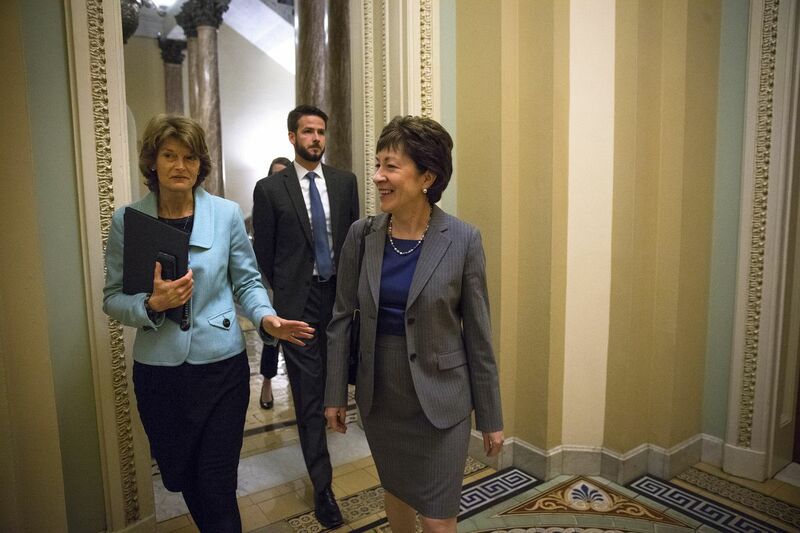 And so much of that discussion was about access to care," Murkowski said. "That's pretty important to us. It's pretty important to me. It's pretty important to most Alaskans that I know," she said. The vote the Senate took to overturn the regulation regarding Title X funding "is one that would effectively work to reduce access to health care, and to, particularly, women's health care," Murkowski said. "And I just don't think that we should be making those efforts that make it more difficult for anyone to receive care." Health centers funded by Title X in Alaska served 8,708 Alaska residents in 2015, according to the National Family Planning and Reproductive Health Association. Thursday was not Pence's first tiebreaker vote in the Senate: He previously cast the vote to confirm Education Secretary Betsy DeVos, when Murkowski and Collins again broke away from their Republican colleagues and decided they could not support her nomination. The resolution will now head to the White House for President Donald Trump's signature. He is expected to sign it. The House approved the resolution in February. Rep. Don Young, R-Alaska, voted in favor of it. The Congressional Review Act allows Congress, with a simple majority vote and presidential approval, to overturn recent regulations — those passed within 60 legislative days.